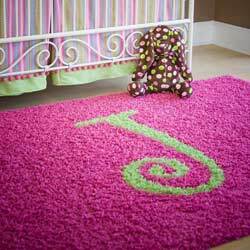 The kids or nursery rugs add a splash of color to the room bringing cheer and sheer joy. 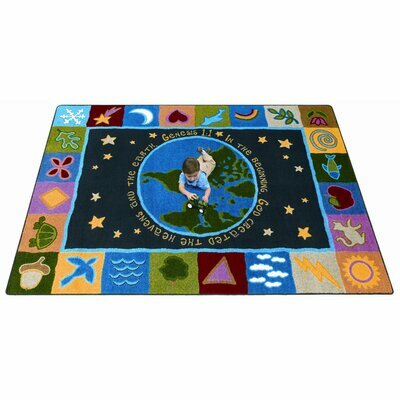 Once you have decided on the type of floor for the nursery or kids room, it is time to turn your attention to the nursery rugs (or kid rugs and teen rugs…there are plenty of options for all ages). Even if you have wall-to-wall carpeting, area rugs are highly recommended. They add a certain pizzazz to the entire room’s décor. There are, as always, guidelines that can make choosing the right rug easier for you. Cleanliness and Safety are the two main issues for every item that goes into your child’s room. We discuss these guidelines here before entering the themes, colors and patterns world of rugs and mats. 1. Instantly Uplift the Mood of the Room. Colorful rugs can instantly uplift the mood of any room. Drab white walled rooms can be transformed into fun kids rooms by simply adding exciting kid rugs. The rugs today come in stimulating designs for babies and toddlers. The older kids have a large selection of more elegant designs in bright colors. 2. Foam and Rubber Mats. Another alternative to kids area rugs is foam mats and rubber mats. 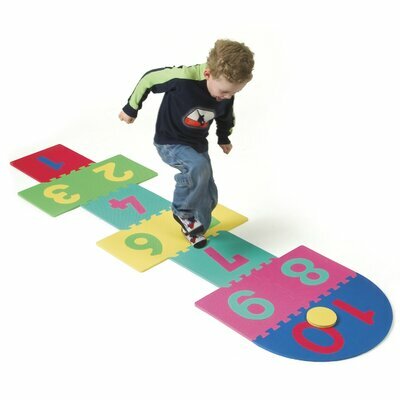 More for the babies or toddlers, these mats are easy to install. The material also makes for easy cleaning of spills and stains, thereby providing a healthier environment. 3. Avoid Light Colored Rugs. It is more practical to stick with multi- or dark-colored teen, kids and nursery rugs. Light colored rugs will highlight every stain and spill requiring instant and repeated washing and cleaning. They also do not provide that splash of color which can make the room pop. A rug pad has many uses and is highly recommended for all area rugs around the house. They make the rug more cushy, prevent it from slipping, and extend the life of the rug. 5. Look for Easy Maintenance Rugs. The teen, kids and nursery rugs have to weather a lot of wear and tear. To de-stress the cleanliness issue, opt for area rugs that are stain resistant and that can be washed easily. You should also periodically air them out. 6. Living in Rented Apartments. There is a distinct limitation to decorating a rented home. The walls are generally white or cream and the wall-to-wall carpets (essential to mute the sounds for your downstairs neighbors) are a boring brown or beige color. Since you cannot change any colors, opt for one or more area rugs. Carpet squares and Foam mats are all inexpensive (and portable…if you decide to move) ways to perk up your kids’ rooms. Get them the area rug that perfectly fits their individual personalities. This is a great way to define individual spaces when there are two kids sharing the same room. Even if you are decorating for just one kid, more than one rug in different colors or designs gives extra stimulation. Last but not the least…dress up your kids bathroom with fun and colorful rugs. Make those bathroom sessions a whole lot of fun. Rugs are essential in the bathroom to warm up the tiny feet as they come out of the bath. Why not make them exciting as well?